How would you stretch a short food supply and limited materials to last you four martian years? Mark Watney was stranded on Mars after 6 soles of the Ares 3 mission arrival (a sole is one day on Mars- a little longer than a day on Earth). The rest of the crew left him during a terrible sandstorm, presuming Mark was dead because he had an antenna pole sticking into his chest. The sand storm ripped the antenna off the Hab and the pole struck Mark before he could get to the ship. Mark barely survived until he became conscious and hobbled back to the Hab (the Ares base on Mars). Mark must use all of his skills, including botany, to survive until the next Mars mission arrives on the red planet. Mark has 400 soles worth of food, but he realizes he needs 1,400 to survive until the next Ares mission arrives and rescues him. Will Mark be able to survive until the next mission shows up, or will he arrive home another way? 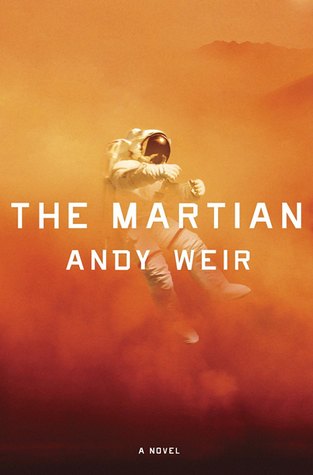 The Martian, by Andy Weir, is a page-turning science fiction novel that although it is just a story, can provoke true emotion. Every page presents a new challenge for Mark or NASA to overcome, such as exploding gasses or arranging communication from Earth to Mars. The constant obstacles that Mark faces during his time on Mars makes the novel even more suspenseful. These include a Hab breach or a Hab explosion. After each disaster the reader is on the edge of their seat wondering, ‘will Mark survive’? In addition, the longing Mark’s crewmates have to return to Earth and see their loved ones encourages the reader to consider whether they could withstand being away from home for so long. This question becomes very prevalent when the crew must decide if they should take the risk of rescuing Watney or return home. In conclusion, The Martian is an outstanding book that I would reccomend to high schoolers and adults that are interested in a suspenseful science fiction novel.